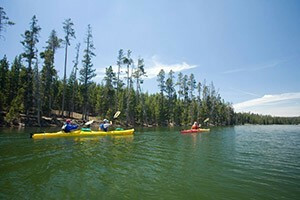 Whether it is escaping into a calm cove on a mirrored lake, or paddling up close next to a steam vent at the water's edge, sea kayaking and canoeing in Yellowstone provides are two of the best ways to enjoy the scenic splendor of the Park. Leisurely 3-hour kayak tours with reliable guide, departs daily at 6:30am 9:30am & 2:30pm for all ages. 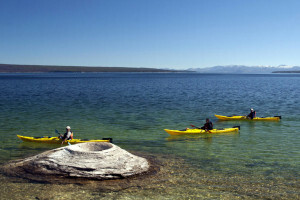 Check-out our video on kayaking Yellowstone Lake. You are required to have a boating permit to bring a kayak or canoe inside the Park. There are no kayak or canoe rentals available within the park. 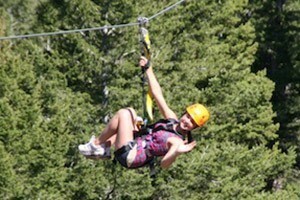 A guide’s knowledge, confidence and helpful manner will make your experience more enjoyable. 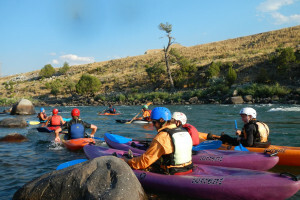 Where can I go sea kayaking or canoeing in Yellowstone? Lewis River Channel to Shoshone Lake: Put in and take out at the Lewis Lake boat dock. Do not attempt to cross the open water of Lewis Lake, as there are often sudden storms. This out and back trip covers about 9 miles and will take most of the day. 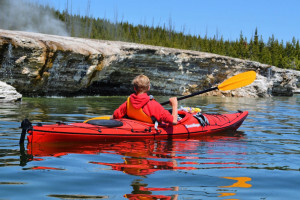 Yellowstone Lake: With over 135 square miles, this pristine high mountain lake offers some of the best inland paddling in the world. 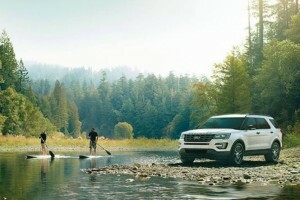 You can paddle as close or as far as you like. 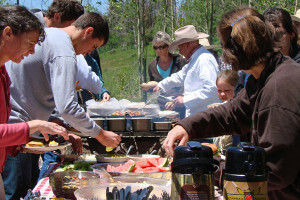 There are a number of backcountry campsites that line the lake and many visitors enjoy an multi-day paddle around the lake. Note that weather can change suddenly on the lake. 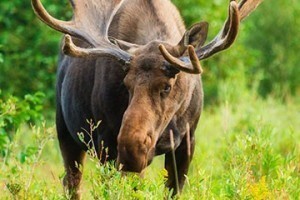 Stop by a visitor center or ranger station before embarking. 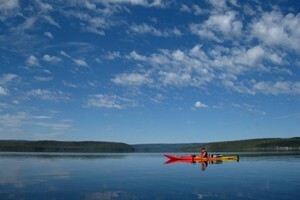 Are Sea Kayak and Canoe rentals available? Unfortunately, there are no sea kayak or canoe rentals within the park. Only rowboats and outboards are available for rent at Bridge Bay Marina on Lake Yellowstone. There are, however, a number of places to rent boats in gateway communities (Gardiner, West Yellowstone, or Jackson will be your best bets). Only outboards and rowboats can be rented at Bridge Bay on Lake Yellowstone. If you bring your own boat (or one rented outside of the park), you will need a boating permit. You an obtain permits at the Lewis Lake Ranger Station, Grant Village Visitor Center, Bridge Bay Marina and the Lake Ranger Station. Can I take a guided kayak or canoe trip? Yes and in fact, we recommend it. 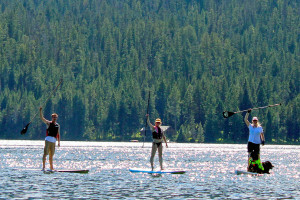 Guides know their way all over the waters in and around Yellowstone. 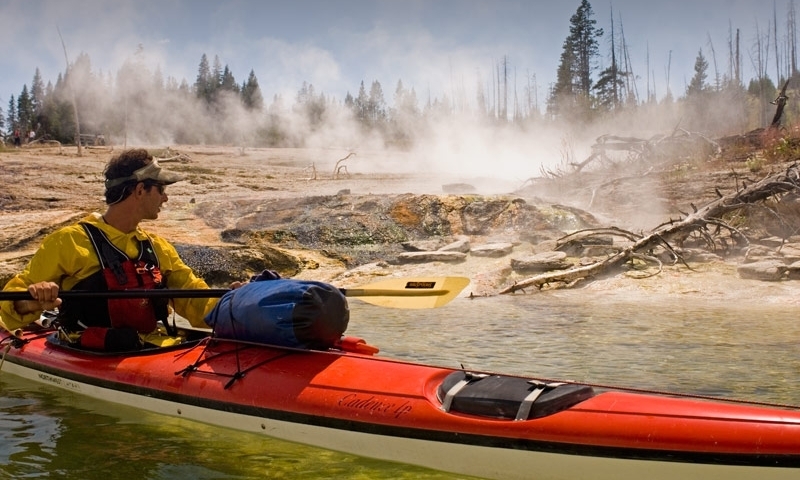 Take a guided tour to the geothermal area right on Lake Yellowstone. 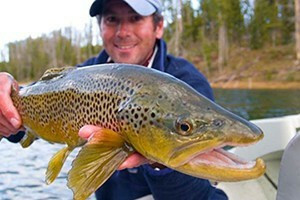 Or discover the waters of nearby lakes and rivers. Guides can help you both with your paddling technique and with finding those hidden, special places not seen via any other mode of travel. 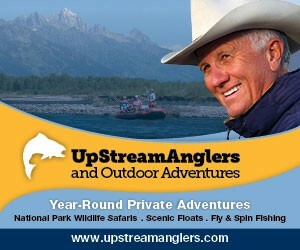 Kayak trips on the Colorado River and Green River in Utah.